If someone mentions ‘addiction’ or being addicted to something most people will initially assume alcohol, drugs or gambling, these are the most common or at least most talked about addictions and get the most media hype. But there are many other things people can be addicted to, a definition I found is “the condition of being abnormally dependent on some habit, esp compulsive dependency on narcotic drugs” Source. Addiction is kind of split into two categories one being addiction to an activity, interest or type of behaviour and the other being addiction to a substance, you can really get addicted to anything but some things bring out a more serious side to it and these are the ones recognised medically as a mental disorder. 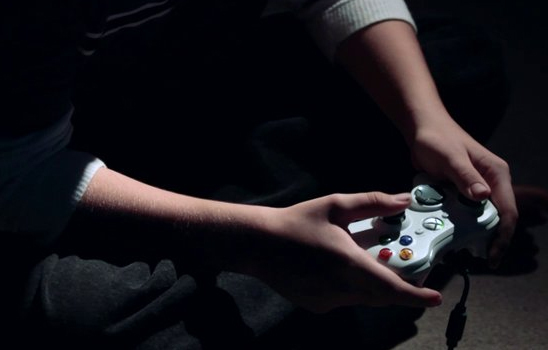 Video game addiction is not one of these medically recognised addictions officially, but the number of high profile cases over recent years has made people believe it should be. I think video games are so addictive because you can gain that sense of achievement and accomplishment you might not get in real life, you can’t experience saving the world in real life but you can in a game. This has become especially more common with the achievement systems on Xbox 360 and playstation 3 they award you with achievements and trophies for completing certain tasks which gives players more incentive to play more because you feel like you are earning something. Arguably the most addicting genre of game is the MMORPG (Massively Multiplayer Online Role Playing Game) and the most popular and known version of this is World of Warcraft. World of Warcraft has more then 10 million peopled registered and is well known for being a very addicting game, playing myself I know how addicting it can be. The reason it is so addictive is because you take control of a persona a character that you develop and grow with, and there is a real sense of accomplishment when you complete a quest or a dungeon. 1. You feel really happy when you’re online or when you’re playing games, but as soon as you have to stop, you get angry or upset. 2. You think about going online or playing when you are supposed to be focusing on other things, like doing school work or having dinner with your family. 3. You spend more time with your keyboard or controller than physically hanging out with your friends. 4. Your friends or parents ask what you spend all your time doing, and you lie about it or laugh it off, but inside you know they may have a point. 5. You get up in the middle of the night to check your e-mail or your MySpace comments because you’re having a hard time sleeping. In my own gaming experiences I can understand how people can get so addicted to a game, playing call of duty 4 when I was younger I played around 30 days actually gameplay time this is not including single player and private matches which I played a lot of. It used to dominate my life, whilst I was at school all me and my friends spoke about was that we cant wait to get home to play COD, so I would say I was addicted to it, it did effect other aspects of my life. Games just give players what they don’t get in real life, you can be anyone or anything you want to be in a game and a lot people crave and enjoy this more then real life, that’s where the addiction comes from.